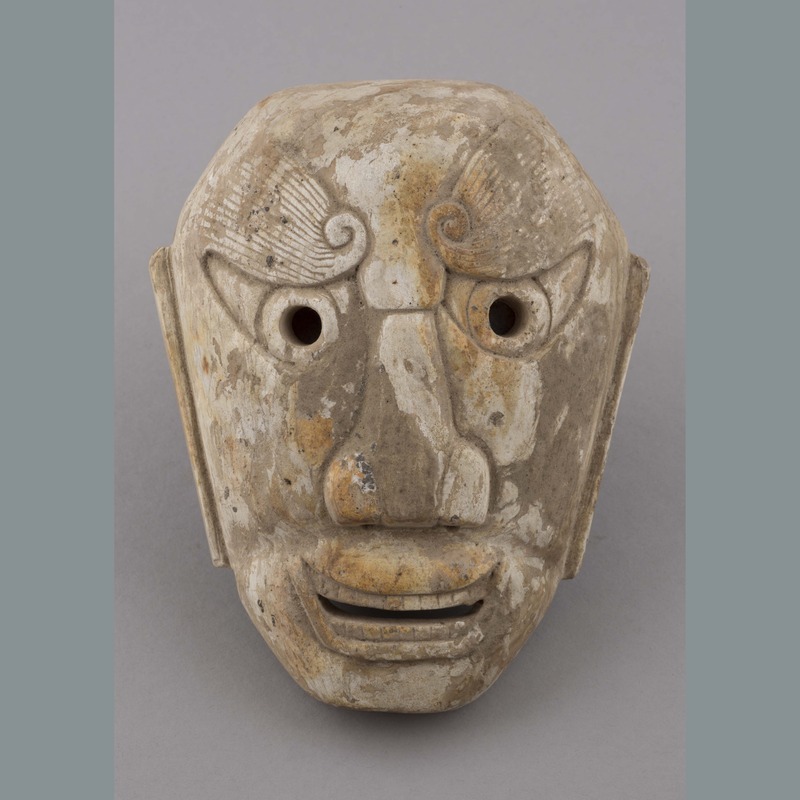 One glazed white tan and yellow earthenware mask with moulded and incised details. Facial features are exaggerated. Two circular holes define the pupils of the eyes. The eyebrows spiral out in wide fans embellished with linear incisions. The nose is flat and broad with two small holes for nostrils. A narrow horizontal slot divides upper and lower ranks of teeth in a wide grinning mouth. 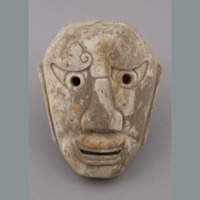 On either side of the mask elongated ears stretch from eyes to mouth. 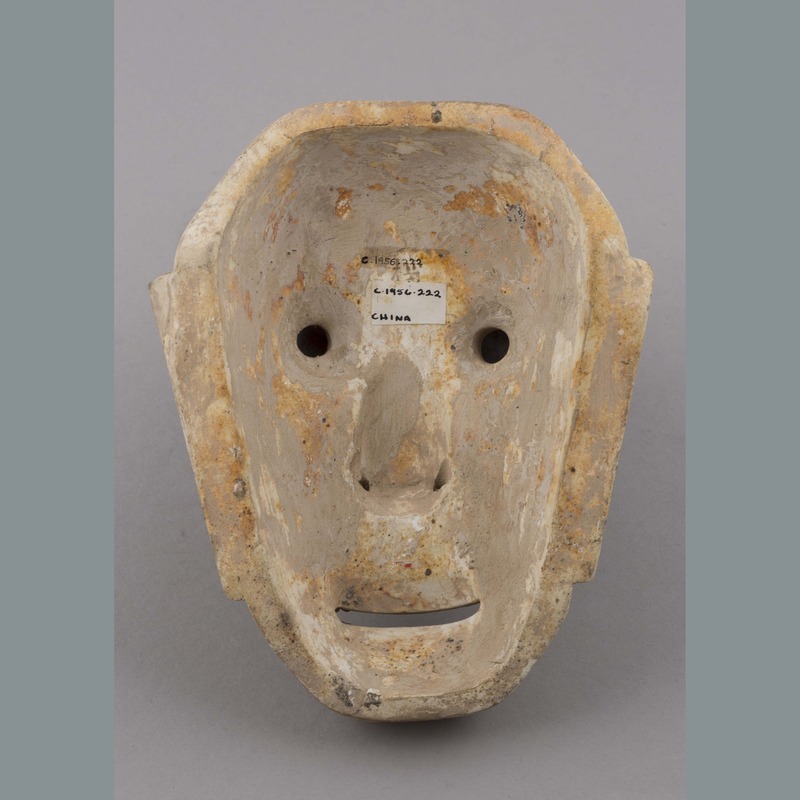 “Ceramic: mask,” China, Art and Cultural Diplomacy, accessed April 22, 2019, http://rewialleyart.nz/items/show/1165.